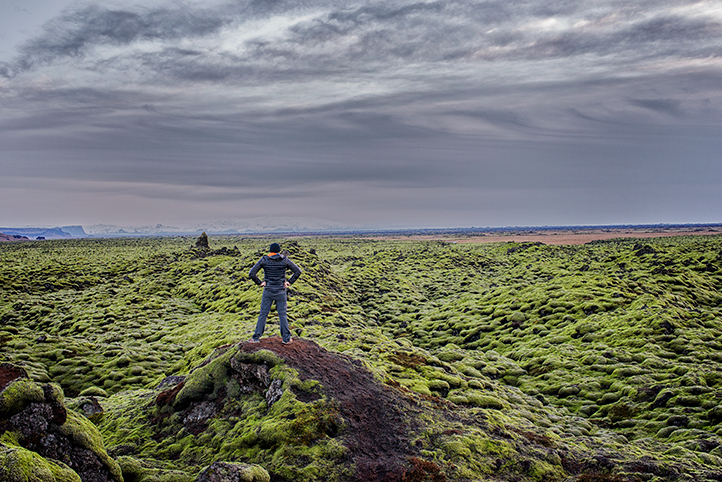 If I were to condense this post about iceland in only one word, WOWZA! Over the past couple years I’ve been wanting more and more to see land of fire and ice. 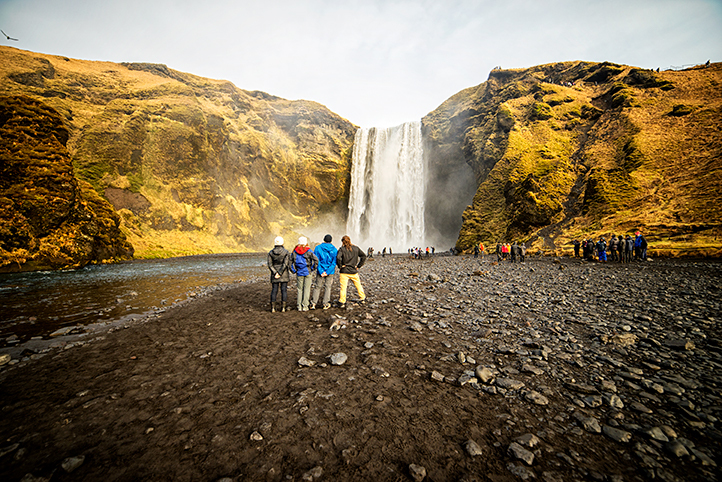 An island that somehow contains waterfalls, volcanoes, glaciers, black sand and greenery all in one. How could that be possible I’d asked myself, but it was and I was captivated by this enchanting place from the beginning. 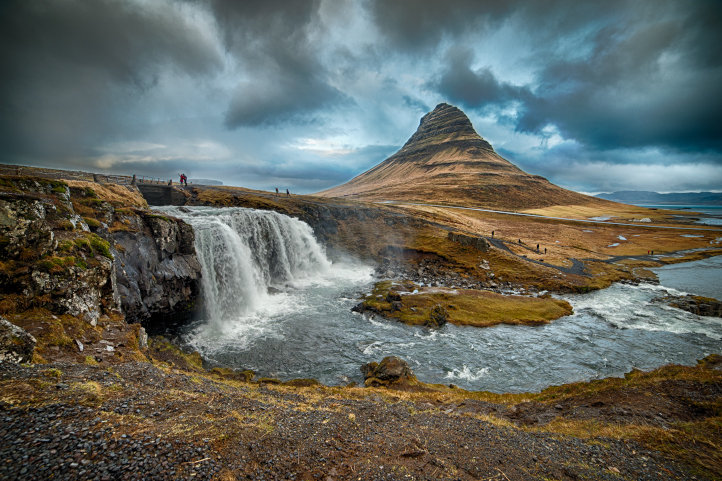 Thanks to WOW air who has great flight prices from LA (as well as other connections) to Iceland, we found our tickets for $310 ROUND-TRIP! WOW air was a decent company to fly with, just make sure to bring water and snacks for the 9 hour flight since none of which is provided. While flying our captain told us that we should be able to spot the northern lights and people crowded to the sides of the plane trying to get a glimpse. 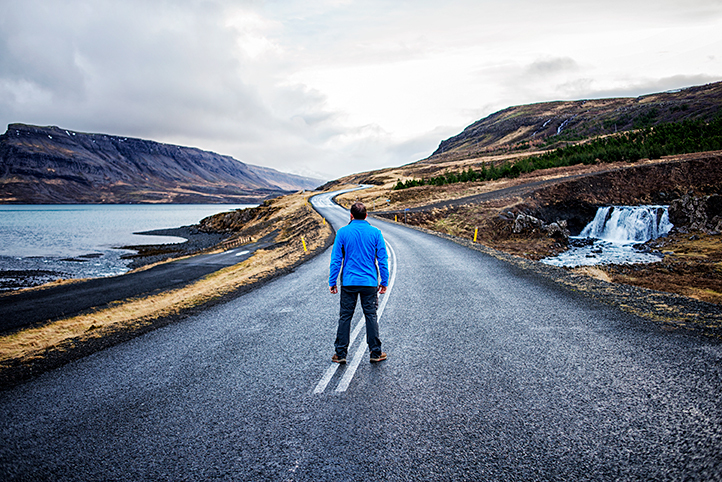 Despite leaving for the SLC airport at 3 AM on a Thursday and arriving in Iceland at 5 AM on Friday I was energized with excitement and fought off the temptation of letting my heavy eyelids close as we drove through the different landscapes. We took a rental car from where our plane landed in KEF airport and drove East to Jökulsárlón Iceberg Lagoon, which took 5 hours. 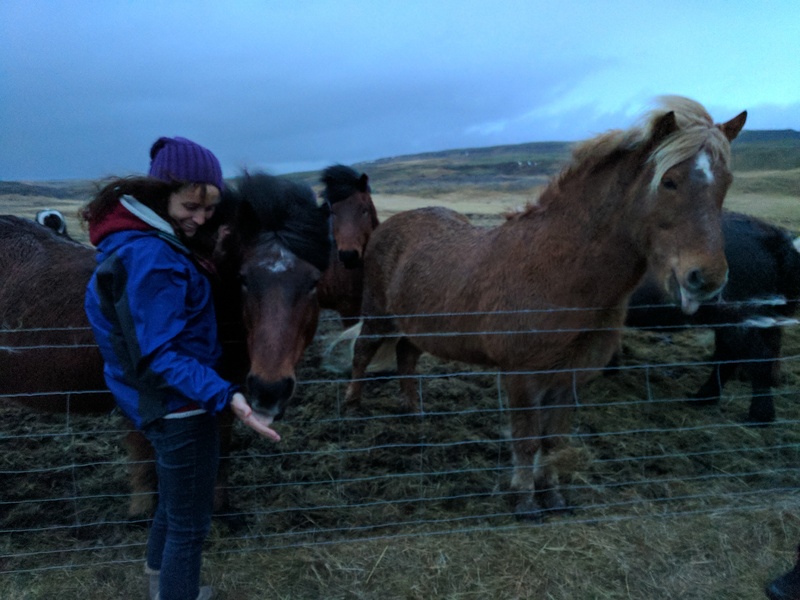 Our plan was to do the most driving in the early morning dark so that we could make sightseeing stops as we headed back to our Airbnb in Reykjavik when we had light. Our initial plan had been to rent a camper van, driving everywhere and stopping where we wanted to. This would’ve been amazing if the possibility of freezing and not having a restroom/shower our entire 6 day stay didn’t sway some of us (maybe next time in Spring/Summer). I still highly recommend this option if you’re into camping and plan ahead to know where you have options to park, shower and use restrooms (we saw a good share of campsites). Since that wasn’t going to happen we also considered stopping at hostels/airbnbs/hotels along the way, but hit another dead end when we found that any place along the way (incredibly rare as they were) turned out to be out of our budget. In the end we decided to stay in Reykjavik for 3 days and venture out from there to sight see, which worked out fine aside from a little sleep deprivation. In Icelandic foss translates to waterfall. As we drove that first day I was instantly seeing waterfall after waterfall, and I was loving it! The mountains had waterfall scars everywhere where the water had made it’s path for a time and shifted to a different spot. I was also amazed at how barren the island was. There would be the occasional house followed by dramatic backdrops (a lot of them having waterfalls right there in the backyard). On the first day we visited Svartifoss (black falls) which had the unique hexagonal pillars sprouting behind the falls, and we stopped whenever we spotted a particular waterfall or site that caught our interest. In the spring to fall you can take a boat through the Jökulsárlón Lagoon to see the broken off pieces of ice from the massive glaciers floating around you up close, but we were able to see the mighty glacier from the shore as well as some seals swimming nearby. This is where several tour groups do ice cave and glacier hike tours… we were so hesitant on spending the money on any of these pricey tours that when we figured what the heck let’s go for it they were all sold out! In the end we wouldn’t have had time anyways because we made it to the stops we wanted to just as it was getting dark. 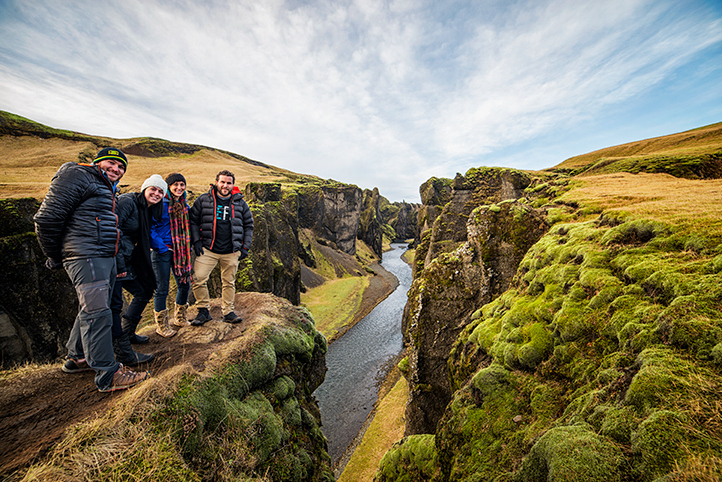 We headed to Fjaðrárgljúfur (it was just pathetic when we tried pronouncing these names) which is an impressive canyon, and then the black sand beach which felt like we were walking on a bunch of crushed oreo cookies without the creme. The Haukadalsvegur Geysir is like Yellowstone (if you’ve ever been) minus a few geysers, but has an active geyser that erupts water every few minutes. We particularly had fun with the drone at this spot since we could use it to look down into the geysers. 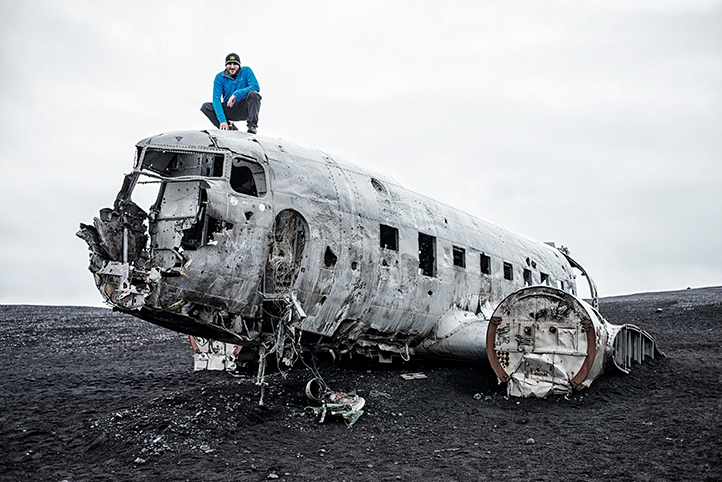 On our third day we headed to Solheimasandur to visit the site of an abandoned US plane that crashed landed because the pilot switched to the wrong fuel tank and ran out of gas. Everyone on board survived thankfully, and now it’s quite a site to see it deserted out in the black sand. Seljalandsfoss was another beautiful waterfall that you can walk behind, but even though you don’t walk through the water to get behind it plan on getting drenched! The spray combined with the wind soaked our clothes within minutes. There was another waterfall near Seljalandsfoss called Gljúfrabúi that you enter into a cave, but unfortunately we didn’t have time to go in before heading to the Blue Lagoon. Make sure you have time to check it out! Ah yes the blue lagoon, a super touristy and pricey place to go but we followed the crowd and wanted to experience it for ourselves. From the naked people in locker rooms to the silicone face masks it was the authentic experience. I heeded the warnings of fellow bloggers and avoided getting my hair wet in order to keep it from becoming incredibly dry and damaged. There’s a conditioner that you can apply beforehand and after that will help with dry hair and technically you’re supposed to scrub everywhere before getting in. 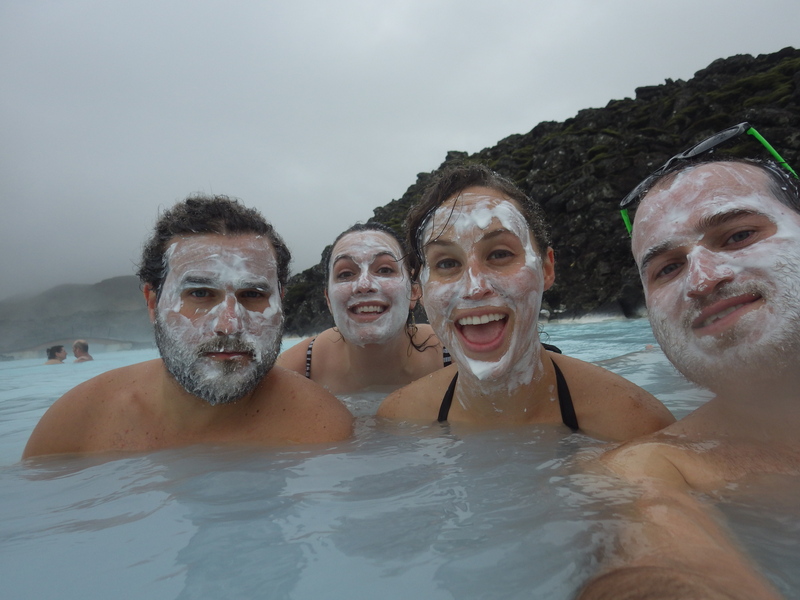 We had a great time soaking in the warm water that had the appearance of blueberry milk and surrounded by the volcanic rock. **Do yourself a favor and spend the 40euro online beforehand for tickets and don’t try to find cheaper tickets when you get to Iceland. If you don’t, you’ll get stuck spending more and risking the possibility of not getting tickets at all since they sell out fast. After checking out of our Airbnb in Reykjavik we headed north to a guest house. We decided it would be a good idea to take the long route and so we made two stops. 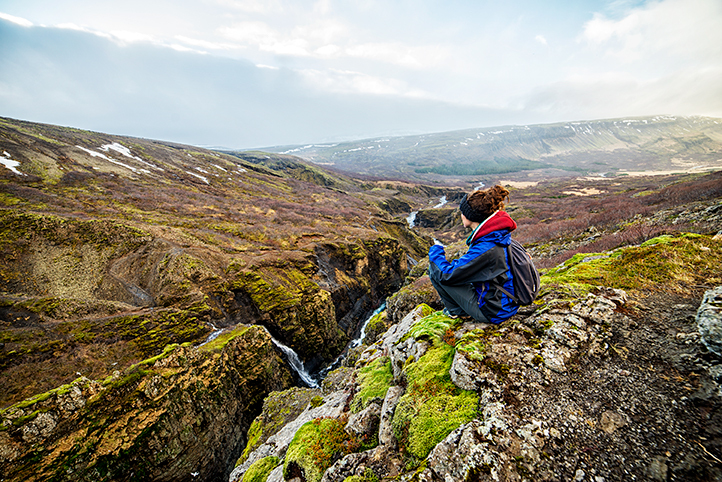 Our first stop was only an hour from Reykjavík to Iceland’s second tallest waterfall. Apparently it dropped from first a few years back when they found a taller one. 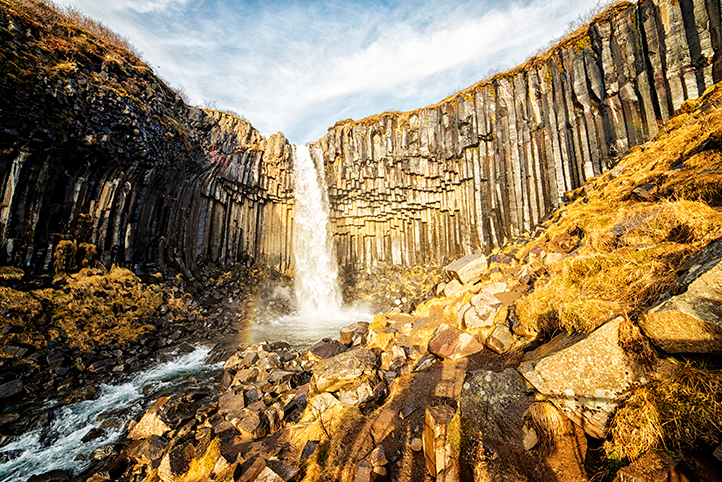 The waterfall is called Glymur and it’s about a 3 mile round-trip hike. During the summer they put a log across the river to cross halfway down the trail. Since it was winter there was no log and we had to climb the opposite side. Despite this, it was still one of the best hikes we’ve ever done! It took us a long time because we kept stopping to take pictures and appreciate the scenery, but it can probably be done in under 3 hours. Kirkjufellsfoss, yet another waterfall with an awesome mountain backdrop! It was raining the entire time we were there so we made a cover with one of the rain jackets in order for Pablo to take some good shots. By the way we were taking pictures I would assume that to get the sun behind it you would need to be there for sunrise, however it was still glamorous even with the rain. For food along the way we searched for places to eat, but with meals starting at $25 we kept mostly to buying snacks from gas stations and sandwich/dinner supplies from grocery stores. 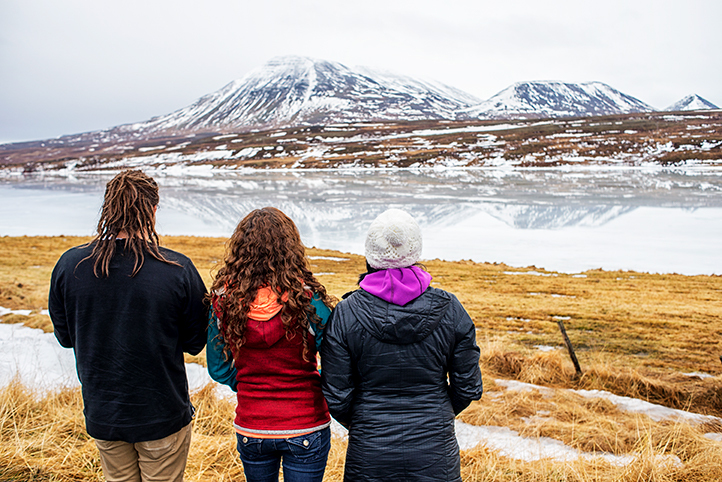 We went out to eat a couple times at some decently priced places (for Iceland). 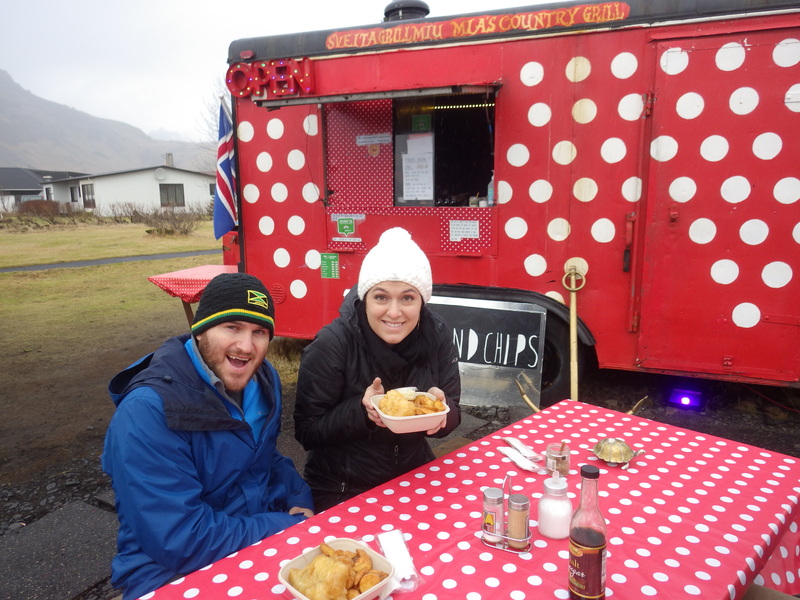 We tried the rightfully famous hot dogs in Reykjavik, and went to a little local food truck right by Skogafoss that had delicious homemade fried cod and chips. We also made sure to try whale, which is a complete touristy thing to do (the locals don’t actually eat it), but we really wanted to try it. Locals do however eat horse, specifically foal (young horse) I’ve been told is delicious. We didn’t want to eat it though, especially after petting and loving the thousands of ponies we spotted all over the country. While we were staying at a guesthouse in Vatnsdalsvegur I talked to one of the locals. He told me that he works with the horses, specifically training them to ride for tourist groups which is all they’re used for surprisingly. He bluntly put it that if they’re stupid horses they butcher them and eat them. I know that’s the way it is a lot of times, but I didn’t want to talk to him much after that. 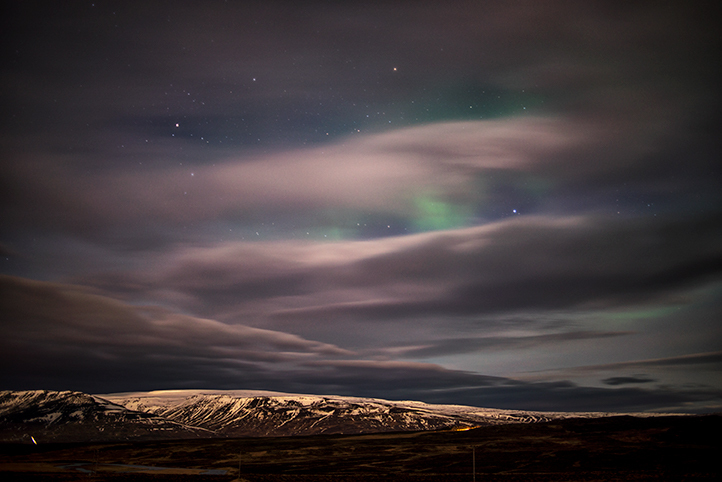 Like most tourists coming to Iceland we had the high hopes of seeing the northern lights. The two nights that we stayed up north in Vatnsdalsvegur we spent driving hours to search for the clearest and most likely spots to see them. We used a website that told us the best time to see the northern lights and there’s also plenty of apps on the market that do the same to better your chances of sighting them. We did in fact see the Aurora Borealis, but it was a glimmer and not as bright as we’d hoped for. The clouds made it difficult as well as the full moon, but we had fun bundled in blankets stargazing. Aurora Borealis peeking out behind the clouds. 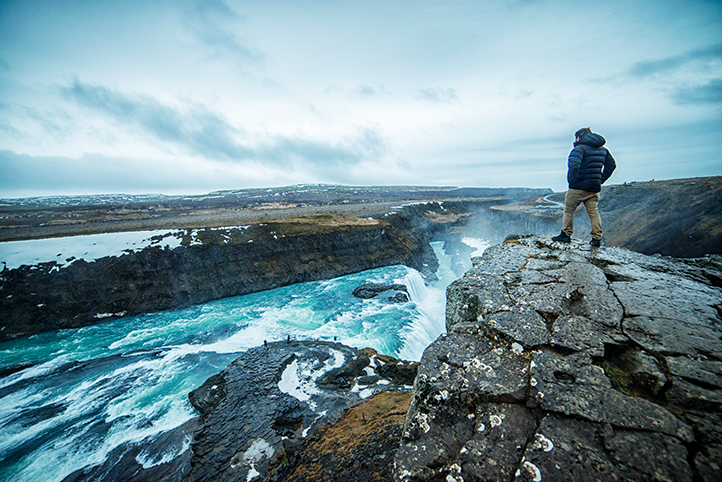 Whether it’s to see the Aurora Borealis, walk on a glacier or to visit the many waterfalls in Iceland I know you will be blown away by this incredible place. Just make sure you go. Go now! Love this! You are such amazing people. awesome compositions on your photos. Incredible textures and colors. Wish I could have gone with you. Thanks Kay! It’s really easy to take good photos of Iceland, it’s such a cool place! I love the information and your photos are epic!!! Thanks. I’ll have to put Iceland on my list.